Del Toro joins Chris Pratt, Zoe Saldana, Glenn Close, Lee Pace, Michael Rooker, and John C. Reilly in the film. Now, I don’t want to start a crazy internet rumor, but the evidence is on the wall. 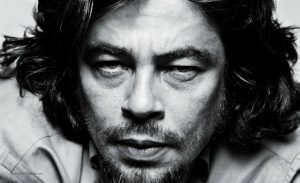 I think Benicio has just been cast as Thanos, the villain that was teased at the end of ‘The Avengers‘ movie. First off, they aren’t saying who Del Toro is playing, which is strange, since we know who everyone else is playing thus far. 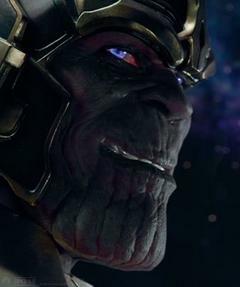 Secondly, all of the good guys have been cast, however, a main villain hasn’t. Thirdly, the big multi film contract for Del Toro has been made. All signs point to Thanos. This entry was posted on Monday, June 3rd, 2013 at 6:22 pm	and is filed under Comics, Film, News. You can follow any responses to this entry through the RSS 2.0 feed. You can skip to the end and leave a response. Pinging is currently not allowed. « Geek Deal Sunday – – Criterion Collection 50% Off!! !